This Fan, has many possibilities of personalization to transmit all kinds of messages: business, traditional, funny, surprising, etc. The large marking surface allows everything: logo printing and / or advertising message, and communicating perfectly. 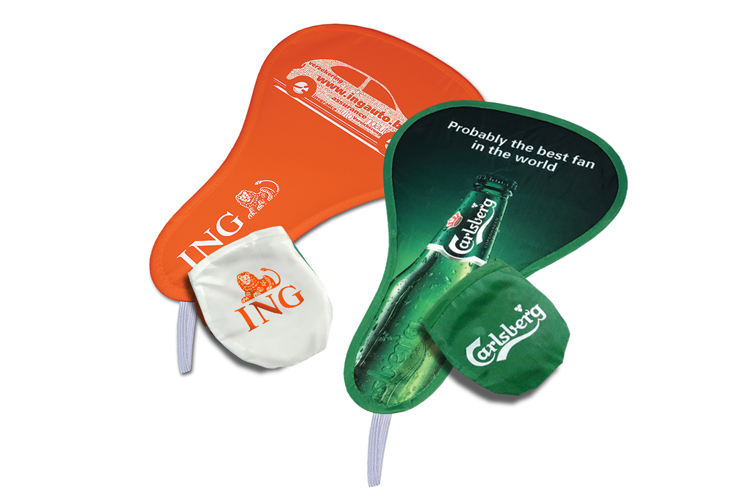 Made of high quality materials, the fan is printed by sublimation (a minimum quantity of 500 units) at a very affordable price and with a delivery time of approximately 30 days. Other remarkable features: its 10 cm in diameter only weigh 12 g.
In addition, we highlight the presentation of the product, packaging, which can be made in individual pouch to store it. 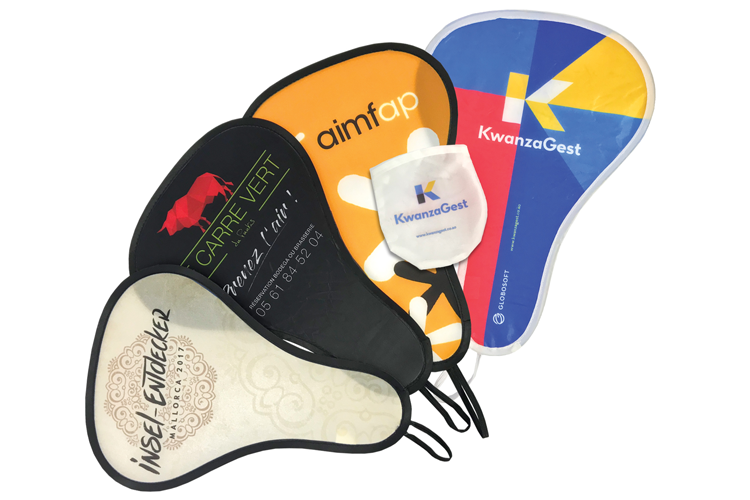 This bag can be printed and continue communicating even when the Fan is folded.